Written by Spotlight Arts Inc. 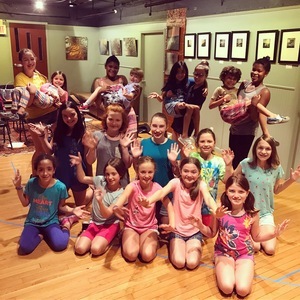 Spotlight Arts Inc., a youth theater company based in Brewster, has several new program offerings for students of all ages this fall. With all programs conveniently located right in Brewster and Croton Falls, young theater enthusiasts have the opportunity to engage in new and educational theatrical experiences year-round. Running September through December, Spotlight Arts offers weekly acting classes including private acting lessons for all ages, Improvisational Theater classes for ages 8 and up and Storytelling Theater classes for our youngest thespians ages 5-7. For students seeking a unique performance and musical experience, Spotlight Arts offers a fall musical theater workshop, WILLY WONKA Jr. which meets for twelve weeks, September 11th through December 1st, and results in a full workshop production in costume, scenery, lighting and sound at the Schoolhouse Theater in Croton Falls, NY. There are two cast options: Tuesdays or Thursdays 5:00-7:30pm. Space is limited and there are many fantastic roles available for both boys and girls. Spotlight Arts offers several other exciting performance opportunities such as our Fall Cabaret, which is a free program for any Spotlight Arts students to participate in and auditions for our winter mainstage production of LITTLE SHOP OF HORRORS. Our nationally recognized and award-winning mainstage program is a large-scale commercial production directed by industry professionals with rehearsals beginning in December. Additionally, Spotlight Arts now offers private acting lessons. Students have the opportunity to work one-on-one with a Spotlight Arts acting instructor through 30-minute scheduled sessions beginning in September. This new program gives students the opportunity to prepare for upcoming auditions, work on their craft and explore other genres of acting including theater, TV, film, and commercial acting. 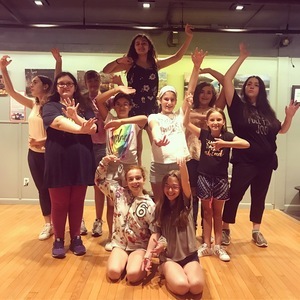 Voted “Most Loved Acting Program” in Northern Westchester, Spotlight Arts' mission is to empower young individuals with high quality theatre arts education while instilling a development of self-esteem, confidence, social and life skills in a fun and positive learning environment. For more information or to register for an upcoming fall program, visit our website at www.spotlightartsinc.comor call us at 845-444-ARTS.